Although many marketers talk about the value of building a customer-centric business, few spend much time on it. Instead, they are preoccupied with content creation, improving traffic and conversions, and positioning their brand. They are overwhelmed with the urgent and forget the important. It’s urgent to have your marketing processes going at full steam, but it’s important to know who is receiving your marketing messages. While marketing involves many important functions, becoming a customer-centric business will yield the biggest rewards. If you do the right things for your customers in the right order of importance, your customers will not only buy your products but heartily recommend your business to other people. 3 Ways to Build A Customer-Centric Business. 1. Tap into primary sources of information. When it comes to gathering customer intelligence, directly speaking to buyers can go a long way. A company called Primary Intelligence can provide a Win Loss Analysis and Customer Experience Analysis to gather relevant data from your customers on their needs, wants, desires, and buying experience. These analytical tools can then help you figure out what you need to change to achieve the outcomes you desire. Speaking directly with customers will help you get a real-world view of what customers want. While you may have an idea of what customers want based on industry-based research, the real customers you meet might surprise you. Even if the research you have been relying on has been fairly accurate, talking directly with customers may still be able to help you see things with more perspicacity. How do you speak directly to customers other than interrogating them when they come up to the counter? Go to an industry conference to meet a wide spectrum of customers when they come to your booth. Go to a competitor’s seminar or webinar and listen to what customers have to say. Since it is not your event, you will have much more objectivity in evaluating responses. Arrange an interview with a customer who has had great success with your product or service. Find out how your business helped them solve their pressing problem. Listen in on sales calls made by your sales team. While the main reason management does this is to improve the sales pitch, your intent should not be on how well the sales process goes but to make a list of common objections customers raise. Do a customer survey to understand your customer’s preferences. You can learn about what customer’s like and dislike by using gamification. This is a game-like process of rewarding customers for participating in tasks that you can measure. What offers excite them? How do customer’s respond to different marketing initiatives like special discount days, competitions, giveaways, buy-one-get-one-free, etc.? Using gamification ideas like loyalty points, leaderboards, and virtual currencies, gives you a much better understanding of your customers. 3. Create A New Buyer Persona. Using a company to help you gather primary source intelligence and taking steps to engage customers will provide a large body of data. This data can be used for creating a buyer persona. Incidentally, if you already have a buyer persona, create a new one. This new buyer persona will be much more accurate. Implementing these three steps will cost time and money, and you might wonder if it’s worth it. 1. More effective marketing strategies. Your content across all platforms will be more compelling. Your understanding of customer needs will help you improve your sales funnel. You will be more equipped to develop a positive brand experience. You will be able to stay engaged with people who don’t buy from you immediately. 2. A more successful business. Your company will increase your revenue. Your business will be more profitable. 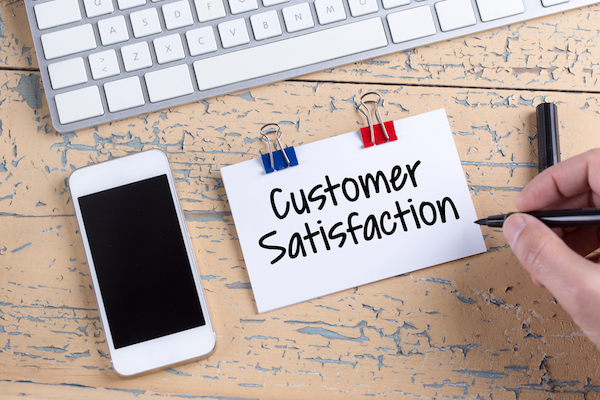 Your customer satisfaction scores will be higher. Your customers will refer family and friends. Knowledge is power when it comes to knowing your potential customers. It can translate into sales and profits. Instead of following industry standards or working on intuition, you will know for yourself what customers want and be able to restructure your business to provide it for them.